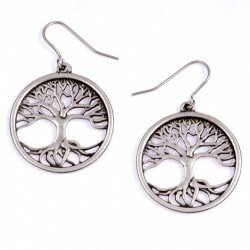 These tin earrings features a magnificent tree of life with finely chiselled details. 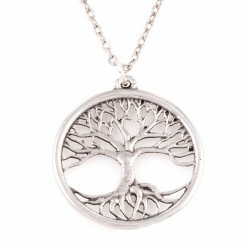 In Nordic mythology, this is the Yggdrasil, the tree that connects the nine worlds with branches stretching far out in the cosmos. The ear posts are in surgical steel and the jewel is delivered in a satin case. Height (with the hooks) : 44mm. 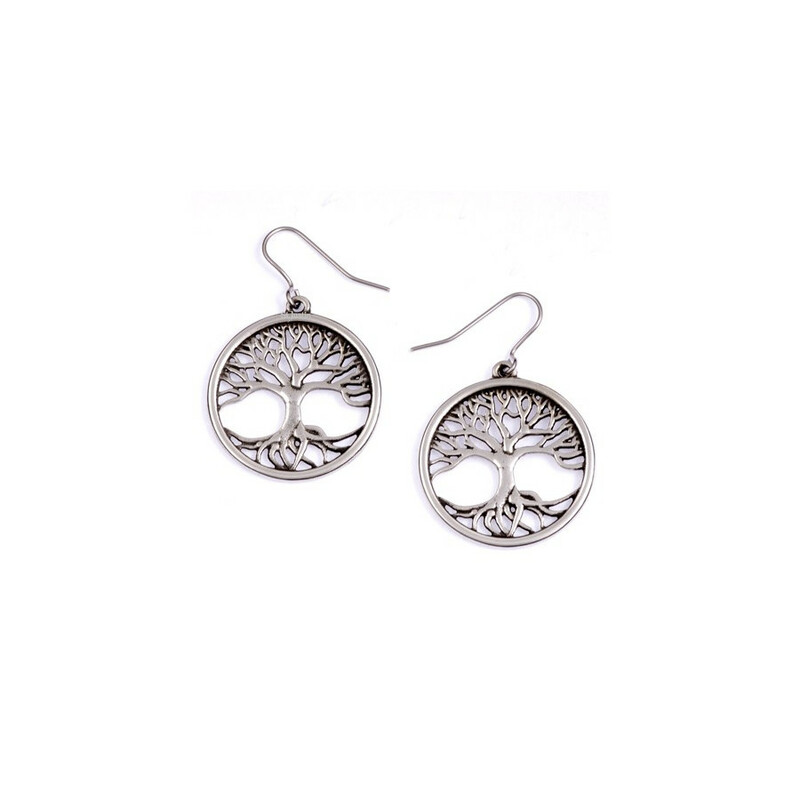 Tin earrings and surgical steel ear posts.